Skinmedica Ha5 Lip Plumper Reviews: Is This Product Worth Buying? What is Skinmedica HA5 Lip Plumper? Boost your lips’ moisture content with hydration that lasts for hours. Provide a volumizing effect on your lips. However according to reviews results are temporary. 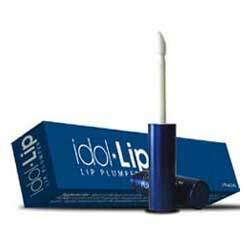 Make your pout appear fuller and denser. SkinMedica is a skincare company founded by dermatologist, Dr. Richard Fitzpatrick, in 1999 which since has been dedicated to formulate products that have R&D backing. What are the Ingredients in Skinmedica HA5 Lip Plumper? Human Fibroblast Conditioned Media: A complex that contains messenger proteins that support the delivery and better absorption of ingredients in this formula. 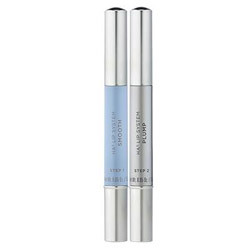 Peptide Pal: Smoothens, softens and contours your lips. Marine Filling Spheres: A complex of dehydrated minerals and compounds derived from the sea that fill with water as it seeps into your skin to fill your lips with moisture, and consists of Sodium Chondroitin Sulfate, Atellocollagen, Pentaerythrityl Tetraisostearate, and Silica Dimethyl Silylate. Hyaluronic Filling Spheres: Dehydrated spheres that rest on the surface of your skin which swell up with water to boost moisture on the outer barriers of your skin to promote prolonged hydration that lasts for hours. Hydrolyzed Hyaluronic Acid: Attracts more moisture from the surroundings to keep your skin well moisturized. However it may cause allergic reactions. Use Skinmedica HA5 Smooth and Plump Lip System throughout the day, ideally on freshly exfoliated or cleansed lips. Start by applying the TNS Lip Renewal, follow up with the Lip Plumper. The formula pulls together ingredients well known to be ultra hydrating to the skin. However, no substantial evidence is available to prove it is effective. Skinmedica ha5 lip plumper reviews have repeatedly praised this lip system for its hydrating qualities that many say does not require too frequent reapplication throughout the day. Product used phenoxyethanol, a neurotoxin, as a preservative. Product contains potentially irritating ingredients, including butylene glycol and fragrances. Skinmedica ha5 lip plumper reviews have pointed out product inconsistency in some products being distributed, with possibility of being counterfeit. Skinmedica HA5 Smooth and Plump Lip System may just finally give you that dramatically thickened pair of lips for that perfect pout. Keep in mind, though, that product performance depends on how well your skin responds to the treatment, and that may be affected by product authenticity, so be very careful. Also, there is no clear mention of any Return policy on the official website.